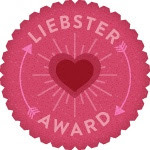 The Liebster Blog Award is to acknowledge those blogs with under 200 followers and to help those to be recognised. It's a great idea as it is hard to start up your own blog and through this you may find new blogs who have similar interests and contents to yours. I was actually nomited twice for this award by the by F & L and also Hannah so thankss girlies! 4 I've realised I'm quite a perfectionist when it comes to certain things especially my blog posts that's why it takes me soo long to create one post literally takes me weeks! a lot of the time I just scrap it half way and start over! 8 Favourite show of all time? FRIENDSS! and my faveourite charecter is chandler just incase your wondering. Ooh and I LOVE Revenge, 90210 and Gossip Girl! 4. Cold weather or hot weather? 8. Cake or ice cream? 10. New Look or River Island? 11. London or New York? I thinks its gonna have to be New York right! Well from what I see and hear about it It seems pretty darn awesome and you all know I'm going to be living there in a few years of coarse God willing, although London's amazing too and I've actually been there several times so I actually know this Haha hopefully I'm gonna move there for Uni! 1) If you were stranded on a desert island, what three beauty essentials would you take with you? 2) What is your favourite fashion trend at the moment? 3) Who's style influences you the most? 4) Worst TV programme of all time? 5) Which magazine do you think showcases the best trends? 6) What era of fashion influences the way you dress? 7)Who-in your opinion-is the worst dressed celebrity? 8) Best book you have ever read? Toons books) I think I better stop now you only asked for one! 9) TopShop or Urban Outfitters? 10) What is your daily skin care routine? 11) Name three of your favourite designers? 1 What are the three things that are at the top of your bucket list? 2 Whats your dream job? 4 If you could be anyone for the day who would it be and why? 6 Who's your favourite blogger? 7 Favourite t.v show of all time? 9 If you could live anywhere in the world right now where would it be? 11 Favourite item in your wardrobe right now? Congrats on the award! And I kind of hate you for having the ability to eat as much as you want and not get fat. JEALOUS! OOOOOOOHHHH MYYYYY GOOOOOOOSH YOU ARE AWESOME, I MEAN, I NEVER THOUGHT ONE WOULD ACTUALLY LIKE MY BLOG TO NOMINATE ME FOR SUCH THING WELL, when are the results of the award coming out? or are all the ones you tagged winners? btw mind to check out my blog?